Remarkable Marketable Me: Gigi. Grace Charities Helping kid, Animals and the world around her! Gigi. 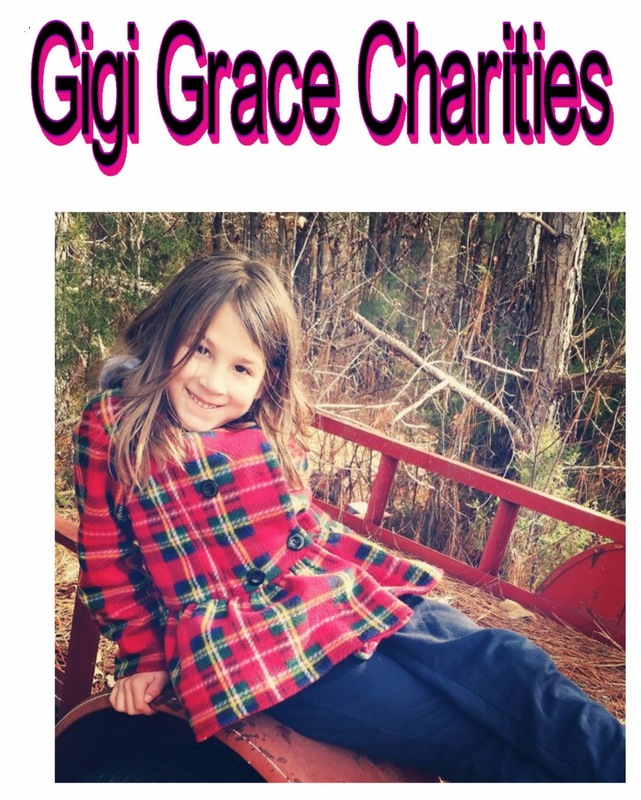 Grace Charities Helping kid, Animals and the world around her! Giavanna Valderrama loves to help others. She has many charities that she cares about but two of them are at the top of the list Beads Of Courage and Ronald McDonald House. She also has a kids radio station call Gigi Grace . Please look below to see some of the fun stuff Gigi does to help others. She hopes you want to get involved and help someone in need. Please share your stories with Gigi. 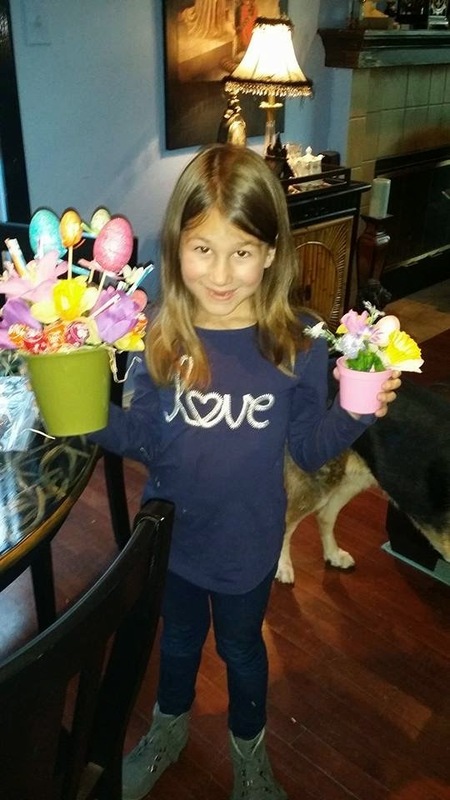 Making flower arrangements and selling them can be a fun way to earn money to help others! Beads of Courage~ One nurse has touched the lives of thousands of sick kids through a simple but powerful idea. One nurse has touched the lives of thousands of sick kids through a simple but powerful idea. necklaces and bracelets, then trade or share them with friends and family. "The kids wear the beads for days at a time, even in the shower," she notes. "It seems to make them feel good." Hoping that beads could cheer up young cancer patients in hospitals the same way they do at camp, Baruch founded Beads of Courage in 2004. Children who participate in the program receive colored beads that represent milestones, procedures, and acts of bravery. For instance, they get a yellow bead for an overnight hospital stay, a white one for chemotherapy, and a glow-in-the-dark bead for radiation treatment. It's not uncommon for children to amass 10, 20 -- even 35 -- feet of beads. It helps young patients track and celebrate their progress, but it also gives them a way to get through upcoming procedures, says Gwendolyn Possinger, the coordinator of Children's Memorial Hospital's Beads of Courage program in Chicago. "A child facing another needle can look at his beads and realize that he made it through before so he can do it again," she says. Today the nonprofit organization supports more than 10,000 children in 60 hospitals in the United States, Japan, New Zealand, and Ireland and is funded exclusively by private donations. With the help of participating hospitals, Beads of Courage is also constantly evolving. Baruch and her team have expanded the program to include many conditions and diseases. They also focus on other ways the arts can help families dealing with a serious illness. The program has been invaluable to children like 9-year-old Rena Miller, of Chicago, who underwent treatment for leukemia that included frequent spinal taps and chemotherapy. When she was rushed to the hospital at midnight a few years ago, she had one consolation: She would get two beads for bravely enduring her hospitalization. The new beads joined hundreds of others on 10 long strands that represent her three-plus-year fight to beat cancer. "Rena reads her beads like a book," says her mother, Danya Miller. "She presents them with pride: 'This is when I first learned how to swallow pills,' for instance. It's a simple but powerful way to remember our journey." Jean Baruch, a pediatric oncology nurse, was good at hanging IV bags and checking vital signs, but she had a harder time helping her young patients deal with the emotional effects of having cancer. "I wanted to encourage them to express their pain and fear, but I didn't know how," she says. "It was very frustrating." She discovered a solution while working at one of Paul Newman's Hole in the Wall Gang summer camps. The camp, which hosts children and families coping with cancer and other serious illnesses, gave Baruch unique insight into how kids play. She noticed that campers of all ages love beading. They spend hours making necklaces and bracelets, then trade or share them with friends and family. "The kids wear the beads for days at a time, even in the shower," she notes. "It seems to make them feel good." Hoping that beads could cheer up young cancer patients in hospitals the same way they do at camp, Baruch founded Beads of Courage in 2004. Children who participate in the program receive colored beads that represent milestones, procedures, and acts of bravery. For instance, they get a yellow bead for an overnight hospital stay, a white one for chemotherapy, and a glow-in-the-dark bead for radiation treatment. 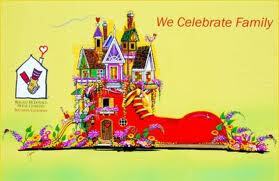 It's not uncommon for children to amass 10, 20 -- even 35 -- feet of beads. It helps young patients track and celebrate their progress, but it also gives them a way to get through upcoming procedures, says Gwendolyn Possinger, the coordinator of Children's Memorial Hospital's Beads of Courage program in Chicago. "A child facing another needle can look at his beads and realize that he made it through before so he can do it again," she says. Today the nonprofit organization supports more than 10,000 children in 60 hospitals in the United States, Japan, New Zealand, and Ireland and is funded exclusively by private donations. With the help of participating hospitals, Beads of Courage is also constantly evolving. Baruch and her team have expanded the program to include many conditions and diseases. They also focus on other ways the arts can help families dealing with a serious illness. The program has been invaluable to children like 9-year-old Rena Miller, of Chicago, who underwent treatment for leukemia that included frequent spinal taps and chemotherapy. When she was rushed to the hospital at midnight a few years ago, she had one consolation: She would get two beads for bravely enduring her hospitalization. The new beads joined hundreds of others on 10 long strands that represent her three-plus-year fight to beat cancer. "Rena reads her beads like a book," says her mother, Danya Miller. "She presents them with pride: 'This is when I first learned how to swallow pills,' for instance. It's a simple but powerful way to remember our journey." Every bead tells a story of strength, honor and hope. What is the Beads of Courage Program? Coming in Summer 2011: Beads of Courage for children coping with a chronic illness. All Program bead guides were developed in collaboration with experts in the field (nurses, doctors, child life specialists and social workers) so that each bead guide would reflect meaningful acknowledgment of a child's treatment journey. Ongoing evaluation of the Beads of Courage program indicates that the program helps to decrease illness-related distress, increase the use of positive coping strategies, helps children find meaning in illness, and restore sense of self in children coping with serious illness. The program also provides something tangible the child can use to tell about their experience during treatment and after. Beads of Courage, Inc. provides all hospitals the necessary program materials accompanied by education, training and support to implement the Beads of Courage Program. Beads of Courage, Inc. believes strongly in collaborating with local non-profits, local businesses and private donors to provide the Beads of Courage Program at their community hospital. The Program Sponsor or Donor supports the program financially. Beads of Courage will seek sponsorship of your program if desired. If you are interested in learning more about how to become a Program Sponsor, please contact Colin, csmith@beadsofcourage.org. Creative outlet for children coping with the traumatic effects of a serious illness. Creative Courage Journal Program Includes a colorful, interactive journal with writing and art activities that help the child to reflect upon their accomplishments while providing a distraction from related treatments and procedures. The journal is accompanied by 25 unique beads that are distributed with their own trading card, and referred to in the journal as the bead collection. Referring clinicians will also be given a selection of handmade, one-of-a-kind glass beads to honor and acknowledge every CCJ participant during their treatment journey. These Act of Courage beads are donated to Beads of Courage by artists from around the world. There are special pages in the CCJ where each Act of Courage bead can be documented and described by your child during their treatment. Beads of Courage thanks the generous support received to date from Kiwanis and State Farm Insurance in supporting children with serious illness through the Beads of Courage Creative Courage Journal Program. 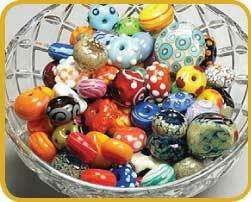 Beads of Courage programs depend on donations of all kinds of handmade beads. Thank you for your donations! Please do not send or directly deliver your beads to member hospitals. All beads must be inspected, logged and packaged at Beads of Courage headquarters.Your beads are important to us. Please be sure to package securely! Handmade glass beads are used as Act of Courage beads. Children choose from this selection to acknowledge special milestones, a particularly rough time or for instances not on the regular bead guide. No sharp corners or edges or, cracks or protrusions that would easily break off. Please do not send or directly deliver your beads to member hospitals. All beads must be inspected, logged and packaged at Beads of Courage headquarters. Your beads are important to us. Please be sure to package securely! Polymer beads are also very popular at our fundraisers and events where participants create their own art-in-medicine inspired pieces. In addition, manufactured beads are used in finished pieces that are sold or auctioned at our fundraisers. 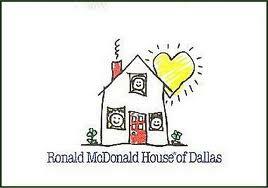 Ronald McDonald House charities help families get the treatment they need for their seriously hurt or injured children. There are many of them around the world helping families’ everyday. 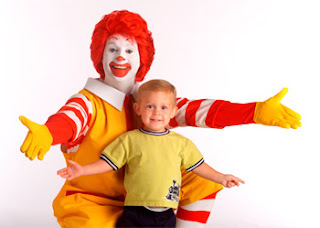 At the Ronald McDonald House there are family centers only steps away from intense care units where many services are available. These services include: Special suites with children with suppressed immune systems, education programs, activities, support services, a kitchen, showers, sleeping rooms, laundry facilities, internet access, books, television, a quiet room, and playrooms for children. There are 128 Family rooms in 15 countries and regions. These rooms are great because it has been proven that when family is close by children heal faster and this give the family to communicate with the doctor’s easily. 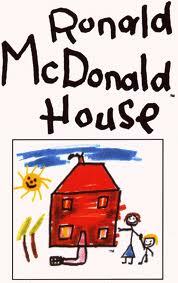 Another part of the Ronald McDonald House Charities is the Care Mobile. Around 48,000 children of America were treated there in year 2007.Services in the Care Mobile include: Immunizations, dental care, oral hygiene education, asthma treatment, vision and hearing screening, school, sport physicals, prenatal care, nutrition counseling, pediatric care, mental health assessment, and care for special needs children. 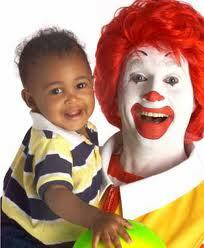 About 100,000 children receive clinical services on a Ronald McDonald Care Mobile each year. These wonderful faculties are made possible by volunteers and donors. Because of this families are asked to make a $5-$25 donation per day in return. But, no families are turned away, so if it is not possible to pay, the fee is waived. We know that families are stronger when they are together, and their presence helps a sick child heal faster and cope better. You can help Ronald McDonald House Charities and ensure seriously ill or injured children and their families are getting the care and comfort they need. However you choose to contribute, your support will benefit thousands of families every day. 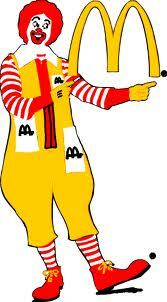 You can donate new toys, books and games to any Ronald McDonald House playroom. Because Ronald McDonald Houses serve so many children and families, we can only accept new toys – playroom items get more use than toys played with at home. 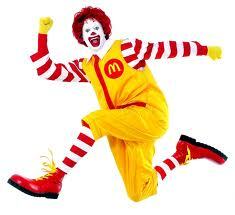 Each Ronald McDonald House provides visiting families with at least one stocked kitchen. Canned goods and nonperishable food items make great donations for any Ronald McDonald House, and they make it easy for families to fix meals and snacks without worrying about grocery shopping. Contact your local House to arrange donations. 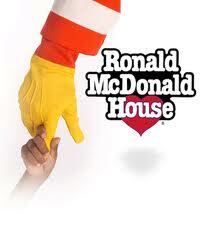 Contact your local Ronald McDonald House directly to find out what items are on your House’s wish list. Gia you have such a kind heart Bless you in all you do!